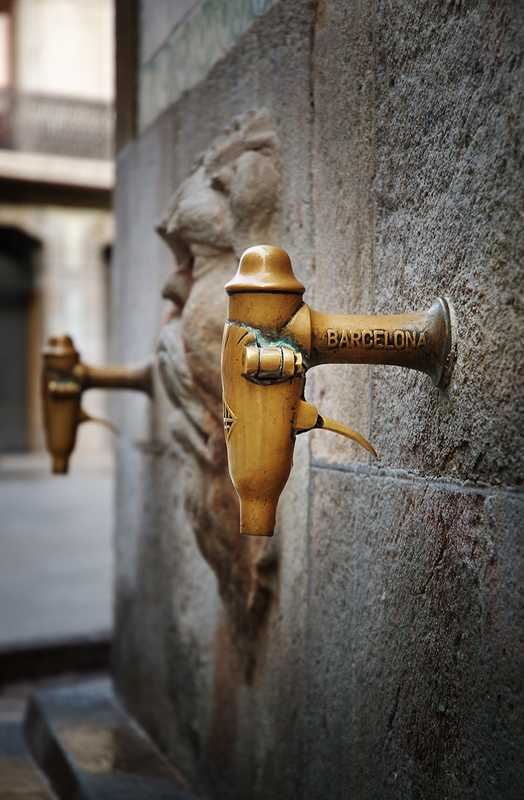 Water spouts near Pignatelli Palace at Portal del Angel, Barcelona. On the tap, you can see the city coat of arms. There many in the city but these in particular I find extremely attractive. Check the place on my Google map. Here are two other previous posts showing spouts: Old Lady and Fountain and Boy Holding Frog. I really want one of these. You make taking photos look easy. That is a great photo. I love how you take something ordinary and look at it in a different and unique way. Thanks my friends. Merry Christmas! HAPPY NEW YEAR 2009 to you and your family ! I love this one ... the small and the beautiful so cleverly captured. Your photos make everything look unique and beautiful! The more I see your blog the more I want to go back to Barcelona!